Still alive, some plants were more robust than other plants. Not many of these made it through the winter and the ones that did were short and weak. They never did really take off; Not good for cut flower. Too spindly. Doesn’t hold well. Did not flower in the first year. Had a very hot dry summer and irrigated fairly regularly but it never grew more than 1 inch; Despite our drought, they have all survived and are growing well. The few flowers I got were pretty and held up well but the plants didn’t do well. (1) Data shown are from those respondents who harvested stems. Some respondents may not have harvested stems because they were too short. 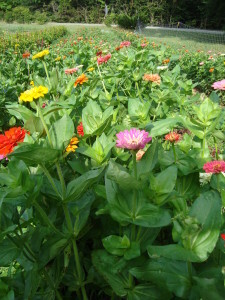 Flowering stems may be longer next year after plants are established. See comments section for more details. (2) 1 to 5 scale, with 5 being the best. Market ratings are based on sales to wholesalers, retailers, or final consumers direct.